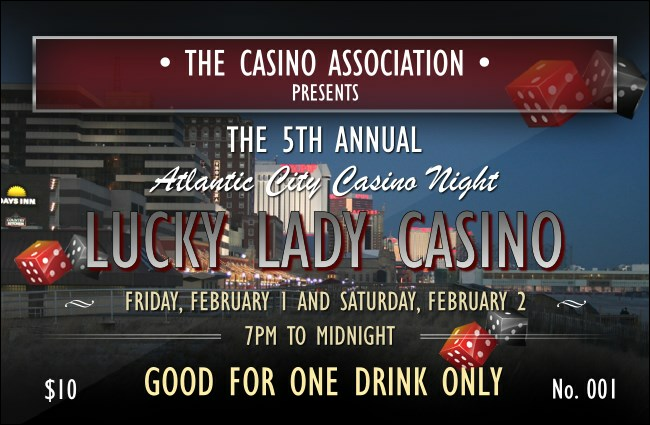 Keep the drinks flowing when you hand out the Atlantic City Drink Ticket at your big night! Celebrate the Gambling Capital of the East Coast with this template, which features bright casinos and lucky dice. Distribute to guests and help your service staff have a great time!